At Frankfurt Trade Fair 2004, Google came out with a new program named ‘Google Print.’ Over time, in the next few months, Google Print became Google Books library. Thus, Google Books came into form, providing valuable service to students and scholars. It provides services that allow it to scan whole texts of content and books and provides them as search. Authors, Universities or Libraries provide Google books with their works. Then, the program examines them with OCR methods and saves the whole texts in its servers. Additionally, Google is in agreement with various Publishing houses to get their works onto the platform as well. As of October 2005, Google Books has scanned around 25 million titles, and the number keeps growing by the day. Thus, Google leads up a digital content revolution. How Does Google Books Work? Google has brought its search engine and books database together. Hence, when you search for a particular term or content, Google shows it within Google books. However, In response to search queries, Google Books allows users to view full pages or snippets from books in which the search terms appear. This is because some authors or publishers do not permit Google to display the whole content. With the new opt-out feature, users and authors can at any time select to show or not show their content. Therefore, Google Books saves the privacy of authors and copyrights worldwide. Google provides content owner with three options within the platform. A user can allow Google to display whole or part of the content. Additionally, he can also allow Google to scan and post snippets. Or opt out the program totally. Here the author allows Google to show all of his content if a user searches for it. Therefore, the whole content is in public domain, and users can utilise the content as they wish. If a publisher permits, In-print books within the Partner Program are also available for full view. However, this type of agreement is relatively rare. In this arrangement, an author allows Google only for previewing his content. Thus, an author can specify the number of pages, parts or portions of his books that Google can display. Of course, a user has to search for the whole book or specific terms to access the preview. Usually, the publisher can set the percentage of the book available for preview. However, Google may restrict users from copying, or use the content in any other manner. Also, if the book is in partner program, it is available in the preview. An Author may also specify Google only to display Snippets of his work. A piece consists of two or three lines of content which the user asks about. Therefore, Google does not have the copyright to display the content in any other way. Google shows no more than three snippets, thus preventing the user from viewing too much of the book. Additionally, Google does not display any snippets for certain reference books, such as dictionaries, where the display of even snippets can harm the market for the work. Google also shows search results for books that have not been digitised. Because these books are not available in digital form, Google cannot display any content, either preview or snippet, from it. However, it can still come up with results regarding, ISBN, Author details, publisher, number of pages, etc. In addition to this, Google can also display table of contents, reviews and copyright issues for the book. An author can opt for this option if he does not want to display his content within Google search results. Owing to Google’s ever-expanding ideas, Users say that Google may well turn out to be the biggest knowledge database. This fact is particularly the case in the case of Google Books. Google Books has two programs to offer – Partner Program and Library Project. Thus, Google provides you with around 25 million titles for free, which are in public domain. However, a user needs to know certain tricks and tips to use Google Books program fully. Google Books allows you to read an entire book that’s out of copyright in Full View. Also, for some books, you can also flip a few selected pages to have a Limited Preview. Even with Snippet View and books tagged with No Preview Available, you can get some idea what the book is all about. Looking at the contents of an index for a particular book gives me some ideas for further reading. By using the index like a keyword list, you can further search for more information within the platform. With Google Books, you get a library of books for a lifetime. If you want to own a book, you may visit the links beside the book entries. For research purposes, snippets and previews are important sources. If you are someone who is more interested in reading magazines, then Google books are for you. Within Google Books, you can search for journals, ( with Full view option on ) and read them. However, you don’t find all the magazines within Google books. You will find the magazines which have run through Google’s scanning process. Thus, when you search for a particular rare magazine, you may have to search for other tags as well, such as topic, issue date, etc. When you do find you want, just double-click the title, and it opens up. Next, you will see that Google web reader opens up, which allows you to browse through the pages. This consists of page turn buttons, magnifying glass icon for zoom, etc. Also, you can search for a particular topic within by the help of the search bar above. Try out the Advanced Book Search when you are building your personal bookshelf on Google Books. You can search by language, or search more specifically, by ISBN/ISSN number, search between dates, etc. The date range search is useful when searching for magazines and periodicals. A user can best use this feature when he is searching for a book or title without knowing its name. Also, a user can do this outside Google books as well, within Search bar and apply filters to it. You can mark your bookshelves as Public and share it with others. The library’s URL can be sent to friends or posted on blogs. You can also refer to a single book (or any of its parts) by linking to it. Also, You can even export your bookshelf as an XML file and share the exported file. Saving it as XML is useful when you want to import the information into any desktop book manager or digital catalogue. Therefore, you can share your magazine or book library with one click. Thus, Google books help you study with your friends quickly sharing the same content. With Google books, you can easily find out duplicate books of the same content. This is very useful for an author in identifying if his work has been plagiarised. And when an author finds the duplicate book, he can submit a report to Google about the issue. Google then process the issue and makes an attempt in removing the book over the web. You can put a piece of text within quotes and do a quick plagiarism check in Google Search. Since the search feature of Google Books comes from Google Search, it searches through millions of books and identifies copies. If you are an avid reader, you might come to some terms and words, which need some meaning. Dictionary is more important within the context of study books, research papers, and journals. You may have to search for technical jargon or terms you don’t know. Thus, you can use Google books to find the meanings. In addition to this, you can also see where authors use the particular word or phrase within the book. You can learn so much from such reference, as a similar phrase may come somewhere else in a different sense altogether. Also, you can search through within home search bar of Google as well. Thus, the definition and meaning search becomes very handy. Perhaps one of the most useful features of Google Books is its ability to suggest related content. Once a user, clicks on a title, Google automatically analyses related topics and recommends them as further reads. For someone doing their research or project on a particular topic will find it useful. Since Google has deep search methods, it helps you understand a problem in various other angels then just one. Hence, Google offers a wider scope of study within its platform. Since its development, Google books have been providing million of books to readers. Over the years, Google has come up with a feature which allows users to view their material offline. However, Users can only get the books which are in the Public domain within Google bookshelf. Also, the books are kept offline in ePub format. A user can either use third-party ePub readers or get Google reader. Although Google book downloader and reader are out of the market, you can still get them by following this link. This feature is useful not only for books but also for magazines. Once you have Google book downloader on your system, you can double click and open your books from documents folder on Windows PC. However, if you are using Mac iOS, there is another version of Google reader that is present within the link stated above. You can use your computer, Android, or iOS device to read books you bought on Google Play and use features like bookmarks, notes, and word definitions to enhance your reading experience. To read Google Books on your iPhone, you must have a Google account and download the Google Play Books app. Unlike with Apple’s iBooks app and the online iBookstore, you cannot browse and select books directly from the Google Play Books app. Getting new Google books requires visiting the Google Play Books website. 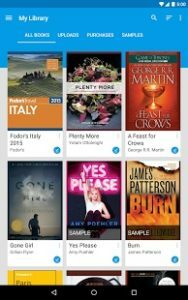 Thus, a user can use Google books on any device just by installing Google play services and installing Google play books native app. The best advantage of using Google play books app over multiple devices is you can sync all your highlights, bookmarks, annotations, etc. Google books are very effective in providing knowledge bases from across the globe. This is the same feeling a user gets when he is scrolling through Google Books. Apart from this, a user can find all the information he wants to know from within Google books, without stepping out of it. Since Google searches not only through contents within books but also through magazines and journals, you can get what you want. Also, if you aren’t sure about what you want, a Google Books search gives you a lot of limited previews and snippet views, which help you decide. Then, once you know what you want, you search by title, author, or just the phrase. In addition to this, there are many books in the public domain which a user can download into system and use. Thus, for research students, Google book is a boon of sorts. The Partner Program is an online book marketing program which helps publishers and authors promote their books. Publishers and authors submit either a digital copy of their book in EPUB or PDF format or a print copy to Google. These are then made available on Google Books for preview. The publisher can control the percentage of the book available for preview, with the minimum being 20%. They can also choose to make the book fully viewable, and even allow users to download a PDF copy. 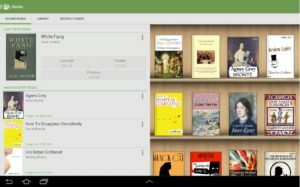 Books can also be made available for sale on Google Play. Despite the features above, Google excels at providing content links to books all over the web. A user can retrieve information about Book URLs merely by scanning the offline ISBNs. Also, as it maintains a massive database of scan books, it becomes easy for it to locate content everywhere. For some books, Google also provides the ability to link directly to the front cover, title page, copyright page, table of contents, index, and back cover of a book, by using tags as applicable. For many books, Google Books displays the original page numbers as of hard copies. Therefore, this helps in many benefits such as enabling writers to prepare citations with page numbers without needing to have a print copy of the book. Thus, developing projects, and sharing them both online or offline becomes easy for users. However, in recent times, Users have seen changes in this regard. The fundamental question here is – How does Google scan millions of books and journals. The answer lies in a technology called as Elphel 323. This is a custom camera for Google which scans around 1000 pages per hour. In addition to having, to focus cameras on the content, it uses Infrared to adjust for the curves and gaps in the print media. By constructing a 3D model of each page and then “de-warping” it, Google can present flat-looking pages without having to make the pages flat. This is more helpful than other methods such as unbinding or glass plates to flatten individually each page, which is inefficient for large-scale scanning. Therefore, this scanning process from Elphel 323 reduces a whole lot of time and resource. N-gram is a service connected to Google Books. This graphs the frequency of word usage across their book collection. It is important for historians and linguists as it can provide an inside look into the human culture through word use throughout time periods. This program has fallen under criticism because of metadata errors within the program. Initially, Google has scanned an impressive thirty million volumes, putting it in league with the world’s larger libraries. This was a huge milestone to achieve. But, while the record is very impressive, the user cannot still access the database yet. Searches of out-of-print books often yield little snippets of the text—there is no way to gain access to the whole book. Further, the exciting thing about Google Books for a user was not just the opportunity to read a line here or there. Google came with the possibility of exploring the full text of millions of out-of-print books. Also, a user could access journals and magazines which had no real commercial value but nonetheless represented a treasure trove for the public. In other words, it would be the world’s first online library worthy of that name. However, Google has failed to attain the goal it set out to, despite Google having all the technological means. Also, Google has the agreement of many authors and publishers, and enough money to compensate just about everyone who needs it. Since, the advent of Google Books, self-publishing authors have found more avenues to promote their works. By bringing their work out on Google, they reach the audience all over the world. Although similar services like Project Gutenberg, Scribd, Internet Archive, Gallica exist, Google offers a wider range of reader base. Also, as in future when Google combines its Books with already existing Email clients, Google Plus, and other platforms, the readers will only grow. However, it is not an easy task to just upload your work on Google books. Firstly you need to comply with rules of eBook conversion. As Google accepts only professionally typeset material, you will have to employ a conversions services company for such tasks. Visit the link which follows to opt for the best in the market for all your eBook conversion needs. PreviousPrevious post:Kobo- Which Formats Does It Support?NextNext post:How To Upload And Publish On ISSUU – Everything You Need To Know !